Fourteen players, four clubs plus the last minute replacement of Charleroi's Saad Salhi in favour of Morlanwelz Matteo Cordier, fifth team listed. 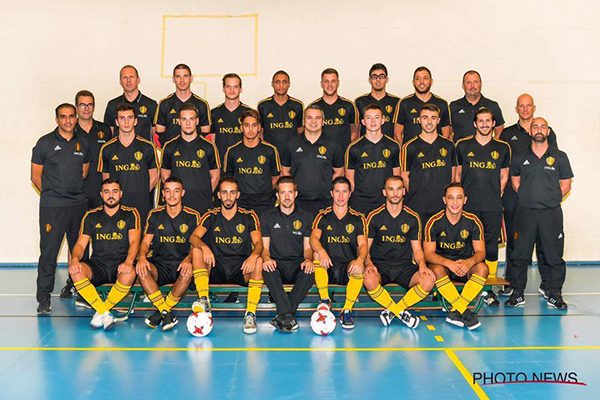 No doubts then for Luca Cragnaz, as the Belgian head coach included in his final roster just athletes coming from national champions FP Halle-Gooik as well as Futsal Team Charleroi, Gelko Hasselt and Futsal Topsport Antwerpen. Two basic test matches vs a renewed Italy, and a great chances for futsal fans from Ghent(h.20.00 Sportarena Tolhuis) and Morlanwelz (h. 20.00 Salle Lucien Walravens) to enjoy two characters of the continental futsal elite.